Many trace the origins of the Khukuri to the humble domestic sickle and crude caveman hunting sticks that were curved, which eventually became weapons for hand-to-hand combat. And the reason why it was favored for it all was due to its weight that is ideal for chopping, and the curved blade that drivers deeper. With all of these pros, it has been the historical and standard arm for the Gurkhas. And since the East India Company admired the blade as much as they feared it, it was introduced to the West, making Bram Stoker chose to kill off his Dracula with the blade instead of a steak to the heart. With such an iconic following, sadly however, it is often not made right and used right. Rather than for utility, the Khukuri has become a mantle piece decor. Sure, the blade does look good, but denying it the ripping and tearing it was created to do is unjust. But like the gleam of light that’s omnipresent at the tip of it’s edge, there is hope. 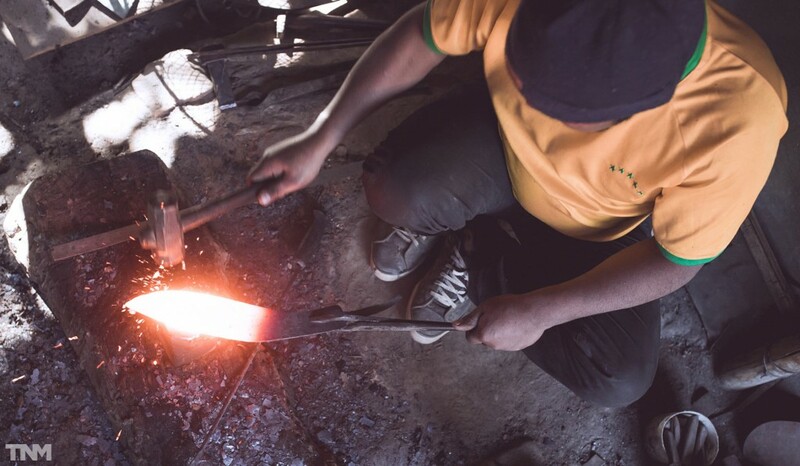 Mr. Andrew Lucas looks after the Industrial Design and Marketing over at Kailash Blades, and with a team of skilled smiths, they have been forging some of the best blades for the international market. But why? Why here of all the places? And why the Khukuri? Now, they do make other blades apart from our favorite curvy, but these questions were what I asked Mr. Lucas over email, and these are what he had to say. 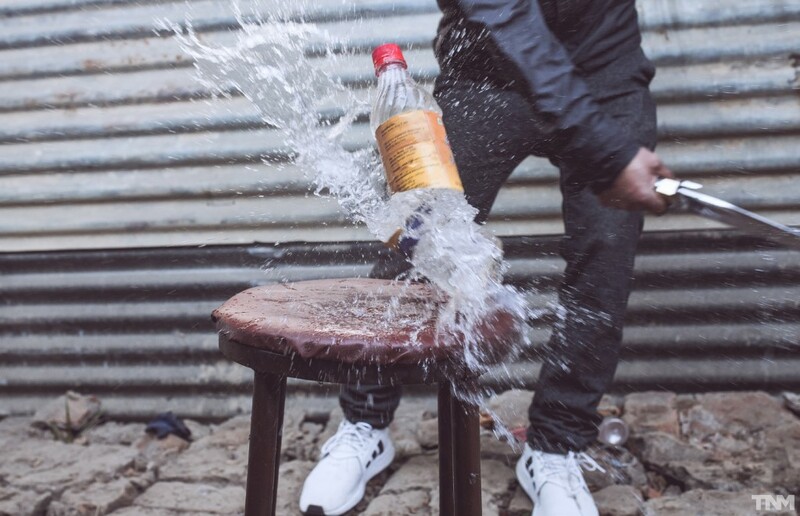 And while you’re at it, Kailash Blades is an Instagram account you won’t regret following. WHY AND HOW DID YOU START KAILASH BLADES? WAS IT A FASCINATION WITH MELEE WEAPONS OR A CERTAIN LIFE EXPERIENCE? Initially I got into knife design and Khukuris specifically through an interest in apocalypse and disaster preparedness. In an extended survival situation like that where bullets have run out, it makes a lot of sense to have a great melee weapon, especially one that can fell trees and split wood. As my design skills improved and my interests broadened, I eventually became involved with the Nepalese knife industry, creating new designs and working on the marketing side of things. 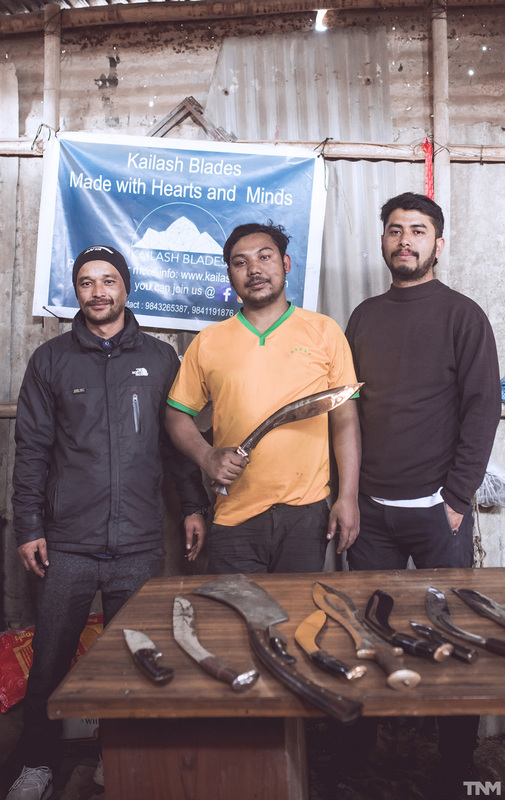 Kailash blades started as a direct response to falling standards across the Khukuri industry in Nepal, both in terms of quality and in working conditions. CNC was displacing a lot of blacksmiths and pushing others into putting out sub-par work to try and keep up. The goal was to take the combined experience of these workers and unite them in a structure where there wasn’t some big boss on top draining away half the money from the business. More money to the workers meant we could aim for higher quality with less overall output, taking time to get every single blade right as we go. I think this is something we’ve stuck to pretty well over the years. WHAT’S BEHIND THE BRAND NAME? WHY “KAILASH BLADES”? The most important thing about our brand name is that it doesn’t have the word “Khukuri” or “House” in it. You see, these names repeated over and over amongst the other makers, almost as often as you see them copying each other’s designs. It was important for us to show that we were something different and original. Original designs, original business model, and an original name. Apart from that the use of a mountain as our name symbolises both the Himalayan roots of what we do, but also our goal to push ourselves higher and higher in terms of quality and maintain our position at the peak of the Nepalese knife industry. Looking at the comments in your Facebook and Instagram, I take it that most of your customers are foreigners. So who exactly are your customers? You’re exactly right about that. While a portion of our knife sales are local, we do the majority of our business internationally, especially to North America and Europe. The international market is so much larger and has so much more space for growth, so it’s where we focus the majority of our attention. Our customers are extremely varied people. 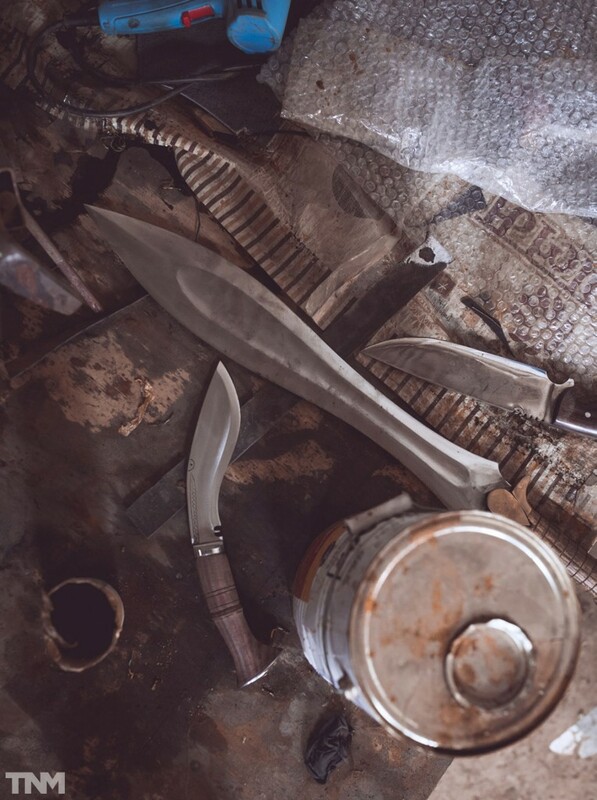 On one end of the spectrum we have German martial artists who are looking for an extremely light Khukuri to train and drill with, something that will be an extension of their body, while others are British history enthusiasts with collections of blades used during WW2. At the complete other end of the scale we have tow truck drivers in the US that carry our smaller blades as part of their EDC, needing something tough to handle chopping, prying, and daily abuse, as well as park rangers in Africa who use our Sirupates to clear trails and for self defense against poachers. Regardless of their backgrounds, they can all find reasons to own a solid and beautifully made Nepalese blade. 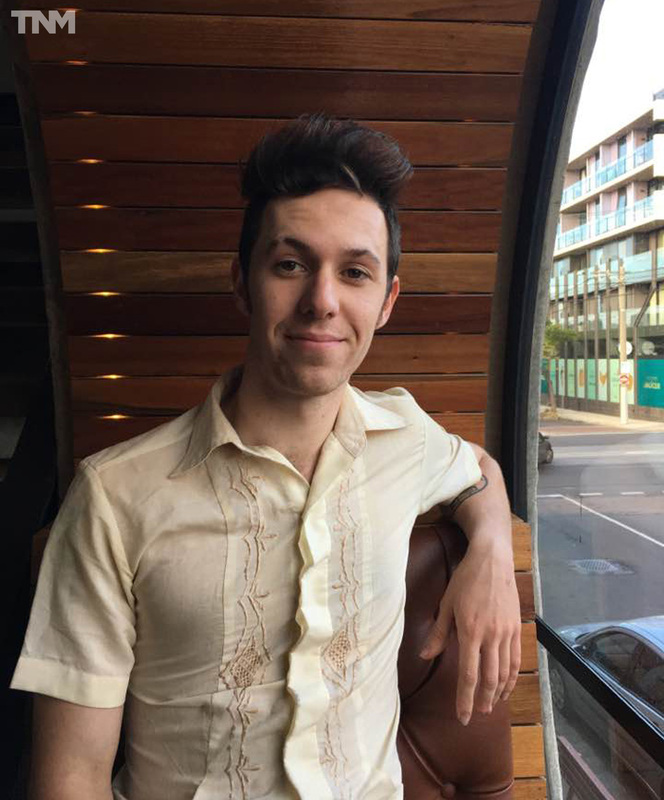 YOU BEING STATIONED IN AUSTRALIA, HOW DOES IT ALL WORK WITH THE BLADESMITHS BEING BACK HERE IN NEPAL? It can be a challenge at times! 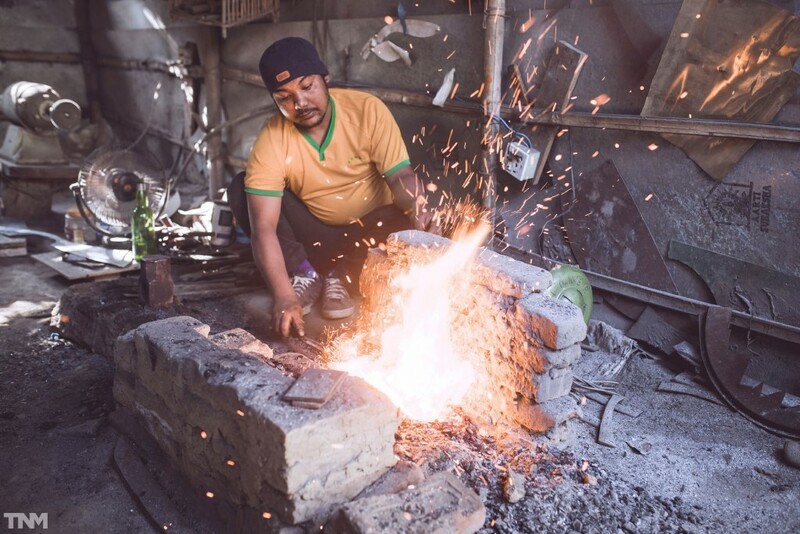 Thankfully we have a great team in Nepal aside from our blacksmiths that help to manage the kind of day to day things that I can’t from overseas. I handle a lot of different tasks, ranging from custom design, web design, the development and improvement of new blades, social media, and publicity. I manage a lot of the bigger picture type things, but we all have our own roles and expertise, and make decisions together about pricing, processes, and the future of Kailash. A FOLLOW UP TO THE ABOVE QUESTION, WHY FORGE THESE BLADES IN NEPAL? TO YOU, WHAT SETS NEPALESE SMITHING APART FROM THE REST? Nepal is in a very unique place in terms of manufacturing. The knife industry, as well as a lot of others, still has a huge handmade component, while still keeping up with a huge demand. Where other countries have locked into machine made processes, Nepal has retained so much beautiful tradition and quality that just simply doesn’t exist in the rest of the world. 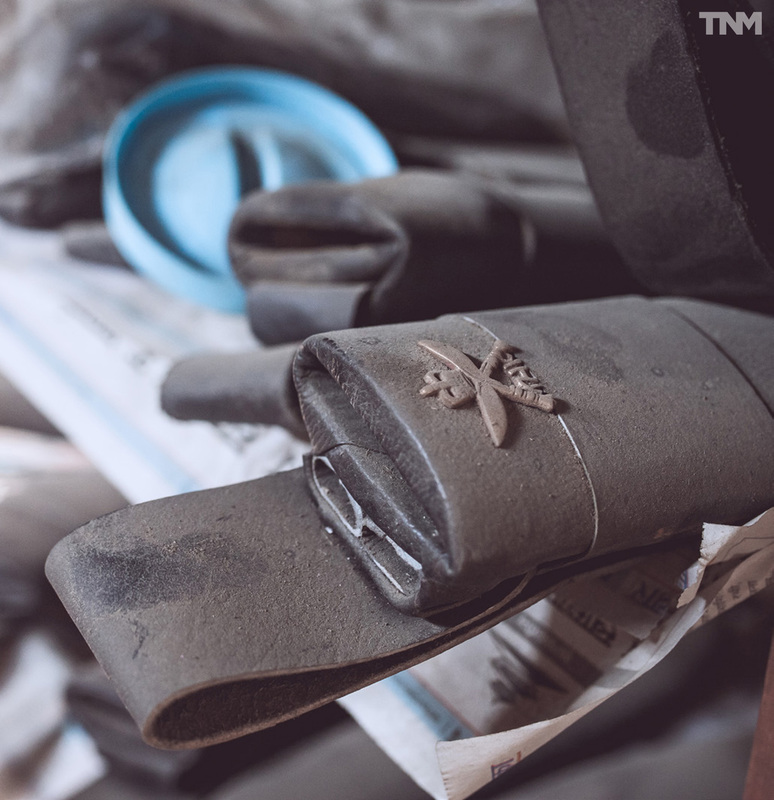 The thought of a knife being hand forged with coal and a sledgehammer is extremely exotic to those purchasing from overseas, where those kind of processes are very rare and would cost 5-10 times the amount that it can be bought for in Nepal. 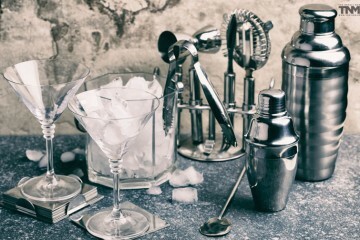 Outside of the sheer beauty of the processes used, the fact that each knife is made individually to order allows us to produce all of our knives as semi customs, offering a choice of grinds, finishes and handle materials as well as allowing us to adapt to a broad range of designs and custom blades very easily. This all gives us a huge advantage over knives being made anywhere else in the world. WHAT ISSUES HAVE YOU FACED SO FAR, OR STILL CONTINUE TO DO? In exactly the same way that the strong traditions of the Nepalese knife industry give us advantages, they continue to provide the greatest challenge to us introducing new techniques or adapting to new situations. As an example we currently use an edge quench in oil, followed by an extensive tempering regimen to produce the best steel available in the country, one that is hard without being brittle and tough without being soft. However, getting to this stage and introducing so many new techniques and ideas into the industry was extremely difficult. Another issue we continue to face is the difficulty of sourcing premium materials within Nepal. Kydex, Micarta, and other synthetic materials allow us to make sheaths and handles that are completely weatherproof, don’t shrink or crack and offer a lot of other performance benefits. However, there is no local production for either of these materials and the punishing import tariffs in Nepal mean that the price for us to use these materials is astronomical. As we grow, we hope to produce our own Micarta in house to allow us to offer these advantages at a more reasonable price point and also to keep our production as Nepalese as possible. AND WITH THE BAD, LET’S TALK ABOUT THE GOOD. WHAT ACHIEVEMENTS HAVE YOU BAGGED SO FAR? So far we’ve been focusing on improving our quality, refining our designs, and becoming as consistent and practiced as possible before we really start to push our publicity and try to grow. However, with that said, we’ve still managed to amass over 3k Instagram followers, received dozens of extremely positive reviews including one on YouTube with over 170k views, and have collaborated with some extremely high profile makers in America like Terry Shanks and Shawn Hatcher. 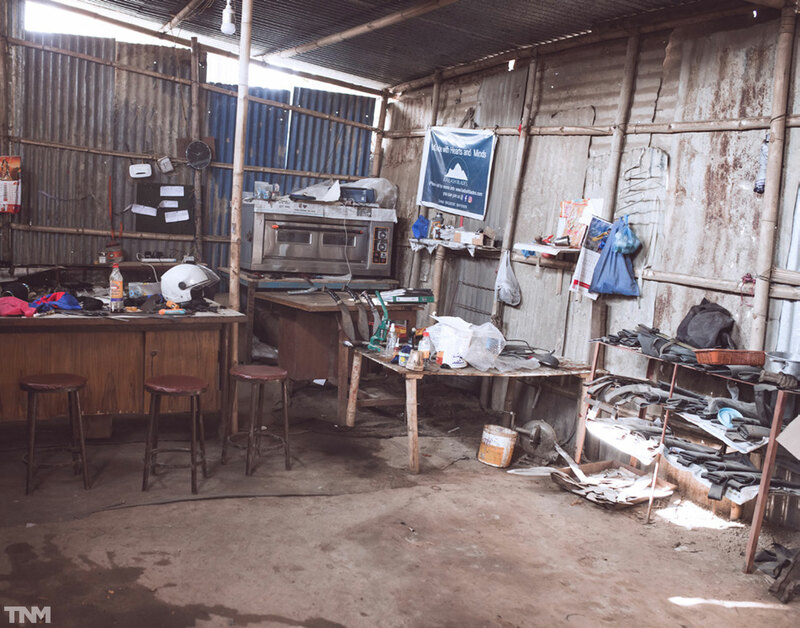 In truth though, our greatest achievement is to have created a workspace where our blacksmiths and workers can provide for their families with more respect and greater independence. And the fact that doing so has allowed us to put quality Nepalese craftsmanship into the hands of hundreds of people is just the cherry on top. SO WHAT DOES THE FUTURE HOLD FOR KAILASH BLADES? As for the future of Kailash, we’ve got a few new designs we’ll be introducing, including a historical replica of a fully engraved blade, some smaller EDC blades, and maybe even some folding knives. Aside from that, we’re also looking to introduce a few new processes, like working with damascus and making our own composite handles. In the short term we’re looking at doing a big push of publicity early next year, then start hitting up some international knife shows. The bigger the market we have, the more blacksmiths we can have on our team and the more good we can do for them and their families.